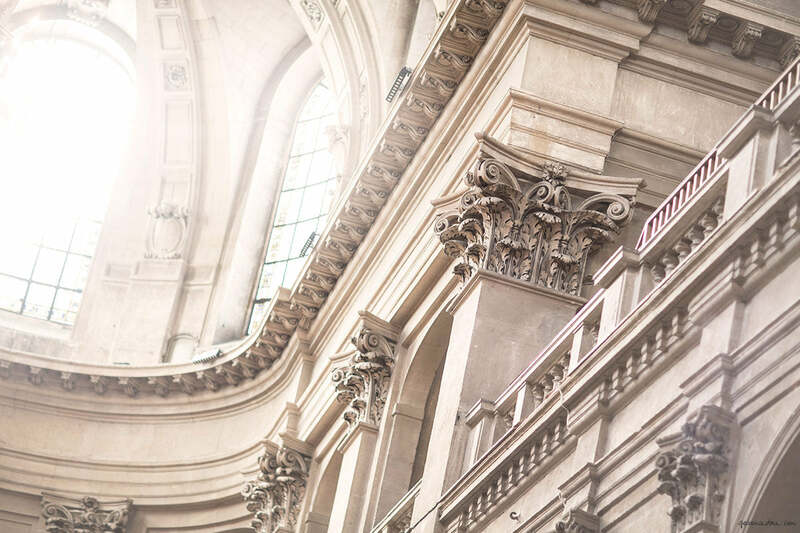 Garance, nice detail of architecture, nice light. Is this in New York City? Enjoy this gorgeous Sunday! I would say… Pantheon. Am I right? Votre photo est très joile! J’aime la lumiere à travers la fenêtre! Oh, this is Saint-Paul Saint-Louis church in the Marais, isn’t it? Oh wow, such an eternal magnificence in one picture! When I saw it, even before checking on tags, it immediately reminded me of Paris. I mean, seriously, these sceneries are inspiration itself. Wrapped up in its grandiosity, historical story behind and one piece of quality craftsmanship. Amazing details of architecture! Love this pic! wouaww! C’est tellement joli tous ces détails. J’adore cette photo, elle est sublime! Wow- the lighting in this room is beautiful! I love the architectural details in this image!